The Walton family is the richest family in America. And their wealth is the product of one man: the late Sam Walton. Walton's career tracks like many other greats of our time; starting from humble beginnings, soaking up knowledge and learning from others, and then developing an innovative concept of their own along the way. Walton's first job out of college was as a management trainee at JC Penney. This was in 1940. In 1945, Walton borrowed $20,000 from his father-in-law to buy a Ben Franklin variety store in Newport, Arkansas; population 7,000, and within five years store sales had increased from $72,000 to $250,000 a year. Walton's landlord, noticing the success, wanted to give his son the store and refused to renew the lease, at any price. And Walton was devastated. Rather than drowning in self-pity though, Walton packed his bags for Bentonville, Arkansas, population just 3,000, where he bought a new store. It wasn't until 1962, when Sam Walton, aged 44, opened the first Wal-Mart. 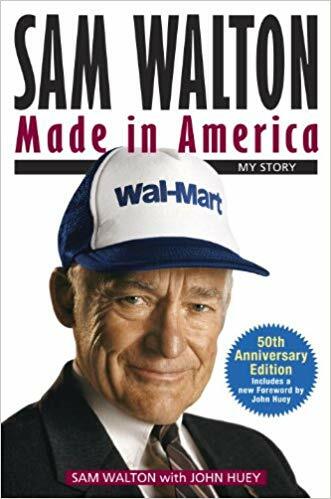 In 1991, and in poor health, Walton published the memoir 'Sam Walton : Made in America' chronicling history's greatest retailing success story. At the time, Wal-Mart's market capitalisation had escalated from just $135m fifteen years earlier to over $50b. Between 1977 and 1987, Wal-Mart delivered average annual returns of 46% pa. One hundred dollars invested in Walmart in 1972 would be worth $136,000 today, compared to $2,500 invested in the Dow Jones Index. Walton's story contains many of the same themes that have characterised other great businesses we've covered such as Koch Industries, Nucor, Home Depot, Pixar and Panera Bread. These themes include reciprocation, win-win philosophy, constant innovation, humility, and culture; they all permeate through the book. It's little wonder Buffett kicks himself when he didn't buy Wal-Mart in the early days. In fact, Buffett cites this miss as his biggest investing mistake. A 'Mistake of Ommission' that, by 2004, had cost Berkshire shareholders more than $10 billion dollars. Highlighted below are my favourite excerpts from Walton's book that explain the key drivers to Wal-Mart's success. "I wasn't what you'd call a gifted student, but I worked really hard." "I learned a lesson which has stuck with me all through the years; you can learn from everybody. I didn't just learn from reading every retail publication I could get my hands on, I probably learned the most from studying what John Durnham was doing across the street." "I loved retail from the very beginning, and I still love it today." "If you love your work, you'll be out there everyday trying to do it the best you possibly can, and pretty soon everybody around you will catch the passion from you - like a fever." "The secret to successful retailing is to give your customers what they want." "Our philosophy of putting the customer ahead of everything else." 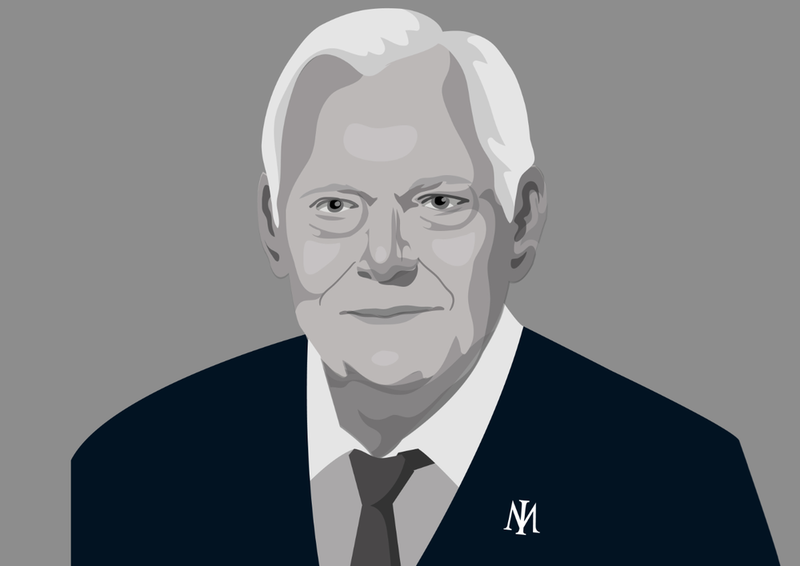 "Everything we've done since we started Wal-Mart has been devoted to this idea that the customer is our boss." "We exist to provide value to our customers, which means that in addition to quality and service, we have to save them money." "The idea was simple, when customers thought of Wal-Mart, they should think of low prices and satisfaction guaranteed." "Exceed your customers' expectations. If you do, they'll come back over and over. Give them what they want and a little more. Let them know you appreciate them." "I'll tell you this; those companies out there who aren't thinking about the customer and focusing on the customers' interest are just going to get lost in the shuffle - if they haven't already." "I read in some trade publication not long ago that of the strip of 100 discounters who were in business in 1976, 76 of them have disappeared. I started thinking about what really brought them down. It all boils down to not taking care of their customers, not minding their stores, not having folks in their stores with good attitudes, and that was because they never really even tried to take care of their own people. If you want people in the stores to take care of the customers, you have to make sure you're taking care of the people in the stores. That's the most important single ingredient of Wal-Mart." "As much as we love to talk about all the elements of Wal-Mart's success - merchandising, distribution, technology, market saturation, real estate strategy - the truth is none of that is the real secret to our unbelievable prosperity. What has carried this company so far so fast is the relationship that we, the managers, have been able to enjoy with our associates. By 'associates' we mean those employees out in the stores and in the distribution centres and on the trucks who generally earn an hourly wage for all their hard work. Our relationship with the associates is a partnership in the truest sense. It's the only reason our company has been able to consistently outperform the competition - and even our own expectations." "The more you share profits with your associates - whether it's in salaries or incentives or bonuses or stock discounts - the more profit will accrue to the company. Why? Because the way management treats the associates is exactly how associates will then treat the customers. And if the associates treat the customers well, the customers will return again and again, and that is where the real profit in this business lies, not in trying to drag strangers into your stores for one-time purchase based on splashy sales or expensive advertising. Satisfied, loyal, repeat customers are at the heart of Wal-Mart's spectacular profit margins, and those customers are loyal to us because our associates treat them better than salespeople in other stores do. So in the whole Wal-Mart scheme of things, the most important contact ever made is between the associate in the store and the customer." "I didn't catch on to that idea for quite a while. In fact, the biggest single regret in my whole business career is that we didn't include our associates in the initial managers-only profit-sharing plan when we took the company public in 1970." "Lip service won't make a real partnership - not even with profit sharing. These days, the real challenge for managers in a business like ours is to become what we call servant leaders. And when we do, the team - the manager and the associates - can accomplish anything." "The decision .. to commit ourselves to giving the associates more equitable treatment in the company, was without a doubt the single smartest move we ever made at Wal-Mart." "Today, more than 80% of our associates own Wal-Mart stock, either through profit sharing or on their own, and personally I figure most of the other 20% either haven't qualified for profit sharing, or haven't been with us long enough to catch on. Over the years, we've also had a variety of incentive and bonus plans to keep every associate involved in the business as partners." "One simple thing puts it all together: Appreciation. All of us like praise. So what we try to practice in our company is to look for things to praise. look for things that are going right. We want to let our folks know when they are doing something outstanding, and let them know they are important to us." "We want our associates to know and feel how much we, as managers and major shareholders, appreciate everything they are doing to make Wal-Mart the great company it is." "As long as we're managing our company well, as long as we take care of our people and our customers, keep our eye on those fundamentals, we are going to be successful." "It didn't take me long to start experimenting - that's just the way I am and have always been." "We paid absolutely no attention whatsoever to the way things were supposed to be done, you know, the way the rules of retail said it had to be done." "I think my constant fiddling and meddling with the status quo may have been one off any biggest contributions to the later success of Wal-Mart." "I've always been driven to buck the system, to innovate, to take things beyond where they've been." "Most folks were pretty skeptical of the whole [Walmart] concept. Walmart was just another one of Sam's crazy ideas. It was totally unproven at the time, but it was really what we were doing all along; experimenting, trying to do something different, educating ourselves as to what was going on in the retail industry and trying to stay ahead of those trends." "We were probably ten years ahead of most other retailers in scouting locations from the air, and we got a lot of great ones that way. From up in the air we could check out traffic flows, see which way cities and towns were growing, and evaluate the location of the competition - if there was any." "Ignore the conventional wisdom. If everybody else is doing it one way, there's a good chance you can find a niche by going in exactly the opposite direction." "My role has been to pick good people and give them the maximum authority and responsibility." "You've got to give folks responsibility, you've got to trust them, and then you've got to check on them." "We were among the first in our industry with the idea of empowering our associates by running the business as an open book." "Sharing information and responsibility is a key to any partnership. It makes people feel responsible and involved, and as we've gotten bigger we've really had to accept sharing a lot of our numbers with the rest of the world as a consequence of sticking by our philosophy." "At our size today, there's all sorts of pressure to regiment and standardise and operate as a centrally driven chain, where everything is decided on high and passed down to the stores. In a system like that, there's absolutely no room for creativity, no place for the maverick merchant that I was in the early days of the Ben Franklin [store], no place for the entrepreneur or the promoter." "The bigger we get as a company, the more important it becomes for us to shift responsibility and authority toward the front lines, toward that department manager who's stocking the shelves and talking to the customer." "Our buyers have much more responsibility for deciding what's carried in our stores than buyers at most other companies." "We all worked together, but each of them [managers] had lots of freedom to try all kinds of crazy things themselves." "It's not just corny saying that you can make a positive out of most any negative if you work at it hard enough. I've always thought of problems as challenges." "When somebody made a bad mistake - whether it was myself or anybody else - we talked about it, admitted it, tried to figure out how to correct it, and then moved on to the next day's work." "Most everything I've done I've copied from somebody else." "I guess I've stolen - I actually prefer the word 'borrowed' - as many ideas from Sol Price as from anybody else in the business." "I don't like to go to the [management] meeting and hear about just the good things that are happening. I like to hear what our weakness are, where we aren't doing as well as we should and why. I like to see problems come up and hear suggestions as to how it can be corrected." "We're always looking for new ways to encourage our associates out in the stores to push their ideas up through the system." "Listen to everyone in your company. And figure out ways to get them talking. The folks on the front lines - the ones who actually talk to the customer - are the ones who really know what's going on out there. You'd better find out what they know." "Great ideas come from everywhere if you just listen and look for them. You never know who is going to have great ideas." Working weekends; it's just something you have to do if you want to be successful in the retail business." "Four-thirty [am] wouldn't be all that unusual a time for me to get started down at the office." "I was visiting stores all the time, and I still do today." "I ran the country studying the discounting concept, visiting every store and company headquarters I could find." "Some folks no doubt figured we were a little fly-by-night - you know, in the discount business today but out selling cars or swampland tomorrow. I think that misunderstanding worked to our advantage for a long time, and enabled Wal-Mart to fly under everybody's radar until we were too far along to catch." "We would be putting in fifty stores a year, when most of our [competitive] group would be trying to start three, four, five or six a year. It always confounded them." "[The competition] didn't really commit to discounting. They held on to their old variety concept stores too long. They were so accustomed to getting their 45% mark-up, they never let go. It was hard for them to take a blouse they'd been selling for $8.00, and sell it for $5.00, and only make 30%. With our low costs, our low expense structures, and our low prices, we were ending an era in the heartland. We shut the door on variety store thinking." "I like to keep everybody guessing. I don't want our competitors getting too comfortable with feeling they can predict what we're going to do next. And I don't want our own executives feeling that way either. It's part of my strong feeling for the need for constant change, for keeping people a little off balance." "Competition is actually the reason I love retailing so much.. There is always a challenger coming along .. To stay ahead of those challengers, we have to keep changing and looking back over our shoulder and planning ahead." "So far none of our competitors has yet been able to operate on the volume that we do as efficiently as we do. They haven't been able to get their expense structure as low as ours, and they haven't been able to get their associates to do all those extra things for their customers that our do routinely; greeting them, smiling at them, helping them, thanking them." "Because I have spent as much time as I could out where it counts, in the stores, seeing if we're doing the job we should be, it has put a very heavy load on all our executives, especially since I expect them to get out in the stores too." "I always tried to maintain a sense of hands-on, personal supervision - usually flying around to take a look at our stores on a regular basis." "A computer is not - and never will be - a substitute for getting out in your stores and learning what's going on. In other words, a computer can tell you down to the dime what you've sold. But it can never tell you how much you could have sold." "At Wal-Mart we are absolute fanatics about our managers and buyers getting off their chairs in Bentonville and getting out into those stores." "The really valuable intelligence that surfaces in these [management] sessions is what everybody has brought back from the stores." "Visiting the stores and listening to our folks was one of the most valuable uses of my time as an executive. Our best ideas usually do come from the folks in the stores. Period." "The efficiencies and economies of scale we realise from our distribution system give us one of our greatest competitive advantages." "When you own and manage your distribution and logistics channel, you have a great competitive advantage over companies that rely on third-party suppliers." "A strong corporate culture with its own unique personality, on top of the profit-sharing partnership we've created, gives us a pretty sharp competitive edge." "We've always tried to install in our folks the idea that we at Walmart have our own way of doing things. It may be different, and it may take some folks a while to adjust to it at first. But it's straight and honest and basically pretty simple to figure out if you want to. And whether or not the folks want to accomodate us, we pretty much stick to what we believe in because it's proven to be very, very successful." "I enjoyed doing what I was doing so much and seeing the thing grow and develop, and seeing our associates and partners do so well, that I never could quit." "If you're committed to the Walmart partnership and it's core values, the culture encourages you to think of all sorts of ideas that break the mood and fight monotony." "We and the associates and the management like to do things together that contribute to the community and make them feel like a team, even if they don't directly relate to selling or promoting our merchandise." "The bigger Wal-Mart gets, the more essential it is we think small. Because that's how we have become a huge corporation. - by not acting like one." "A lot of people think it's crazy of me to fly coach whenever I go on a commercial flight, and maybe I do it a little bit. But I feel like it's up to me as a leader to set an example. It's not fair for me to ride one way and ask everybody else to ride another way. The minute you do that, you start building resentment, and your whole team idea begins to strain at the seams." "We as a family have bent over backwards not to take advantage of Walmart, not to press our ownership unfairly, and everybody in the company knows it." "We're co-operating with our big vendors these days at the highest levels." "We can get beyond a lot of our old adversarial relationships and establish win-win partnerships with our suppliers and our workers, which will leave us with more energy and talent to focus on the important thing, meeting the needs of our customers. " 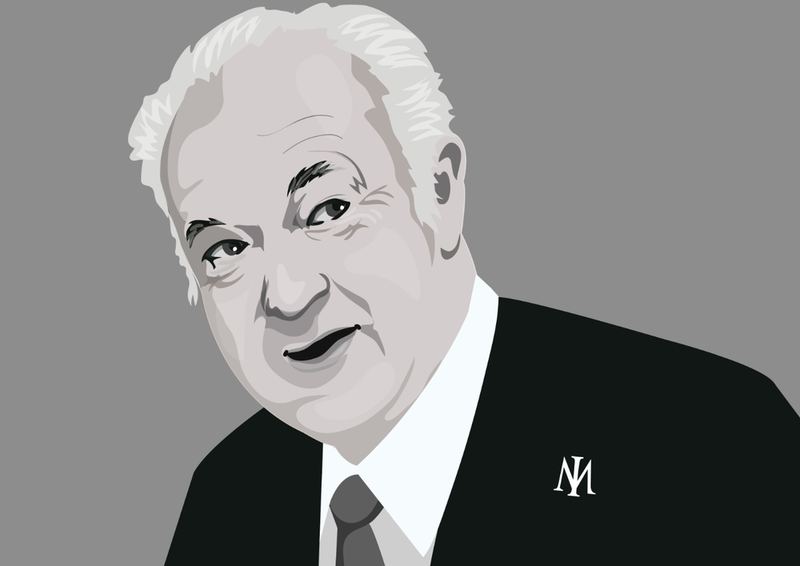 "In the future, free enterprise is going to have to be done well - which means it benefits the workers, the stock holders, the communities, and of course, management, which must adopt a philosophy of servant leadership." "You may have trouble believing it, but over time we've tested the old saying, it has paid off in spades: the more you give, the more you get." "We as a company have been ahead of most other retailers in investing in sophisticated equipments and technology." "To succeed in this world you have to change all the time." "You can't keep doing what works one time, because everything around you is always changing. To succeed, you have to stay out in front of that change." "I've made it my own personal mission to ensure that constant change is a vital part of Wal-Marts culture itself. I've forced change - sometimes for change's sake alone - at every turn in our company's development. In fact, I think one of the greatest strengths of Wal-Mart's ingrained culture is its ability to drop everything and turn on a dime." "Just like everybody else, in order to survive, we need to keep changing the things we do." "If American business is going to prevail, and be competitive, we're going to have to get accustomed to the idea that business conditions change, and that survivors have to adapt to this changing conditions. Business is a competitive endeavour, and job security lasts only as long as the customer is satisfied. Nobody owes anybody else a living." "A whole lot has changed about the retailing business in the forty-seven years we've been in it - including some of my theories. We've changed our minds about some significant things along the way and adopted some new principles. But most of the values and the rules and the techniques we've relied on have stayed the same the whole way." "If we ever get carried away with how important we are because we're a great big $50b chain - instead of one store in Blytheville, Arkansas, or McComb, Mississippi, or Oak Ridge, Tennessee - then you probably can close the book on us." "A lot of bureaucracy is really the product of some empire builder's ego. Some folks have a tendency to build big staffs around them to emphasise their own importance, and we don't need any of that at Wal-Mart. If you're not seeing the customer, or supporting the folks who do, we don't need you." "I believe the folks who have done the best with Wal-Mart stock are those who studied the company, who have understood our strengths and our management approach, and who, like me, have just decided to invest with us for the long run." If I were a stockholder of Wal-Mart, or considering becoming one, I'd go into ten Wal-Mart stores and ask the folks working there, "How do you feel? How's the company treating you?" Their answers would tell me much of what I need to know." "As companies get large, with a broader following of investors, it becomes awfully tempting to get into that jet and go up to Detroit or Chicago or New York and speak to bankers and the people who own your stock. But since we got our stock jump-started in the beginning, I feel like our time is better spent with people in the stores, rather than off selling the company to outsiders. I don't think any amount of public relations experts or speeches in New York or Boston means a darn thing to the value of the stock over the long haul. I think you get what you're worth." "As business leaders, we absolutely cannot afford to get all caught up in trying to meet the goals that some retail analyst or financial institution in New York sets for us on a team-year plan spit out of a computer that somebody set to compound at such-and such rate. If we do that, we take our eye off the ball." "If we fail to live up to somebody's hypothetical projection for what we should be doing, I don't care. It may knock our stock back a little, but we're in it for the long run. We couldn't care less about what is forecast or what the market says we ought to do. If we listened very seriously to that sort of stuff, we never would have gone into small-town discounting in the first place." While Buffett initially missed Wal-Mart, he took a position in 2005. In 2017, Buffett exited the position. The Internet had changed shoppers' preferences and eroded the commanding influence Wal-Mart had over its suppliers. A new competitor also emerged. Unencumbered by store costs and a conventional retailers mindset, Amazon.com harnessed technology to lower costs, increase selection and convenience and developed a pact with shareholders to accept limited profitability in return for a long term competitive advantage. Sam Walton's incredible story illuminates the characteristics that combined to create a compounding machine. They have a relentless focus on the customer and a competitive edge derived from: distribution scale, embracing counter-parties, empowering employees, experimentation driving innovation, first mover advantages and corporate culture. And when combined with a large runway for sales, shareholder returns were phenomenal. The history of Wal-Mart also highlights the brutality of capitalism. Change is inevitable. No business is forever. Trees don't grow to the sky. In 2015, after just two decades, Amazon’s value bypassed that of Wal-Mart. Ironically, Sam Walton ended his memoir contemplating whether there could be another Walmart. As Walton had copied others, Amazon's Jeff Bezos copied Walton. According to Brad Stone's book, 'The Everything Store: Jeff Bezos and the Age of Amazon', Bezos studied the lessons of Walton and weaved them into the fabric of Amazon. 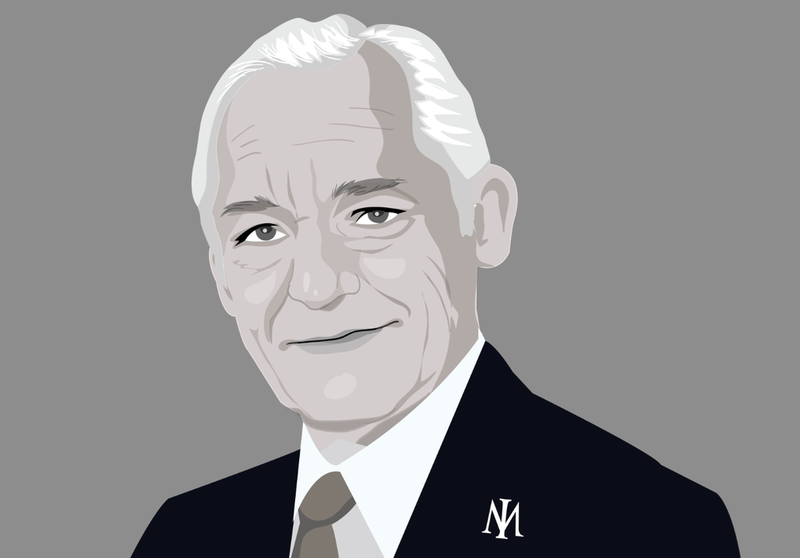 Notwithstanding, Sam Walton's legacy of prioritising the customer, continuous innovation, technology embracement, and developing win-win relationships remains enduring. As Bezos became the Sam Walton of the 21st Century, the next Bezos maybe out there now.